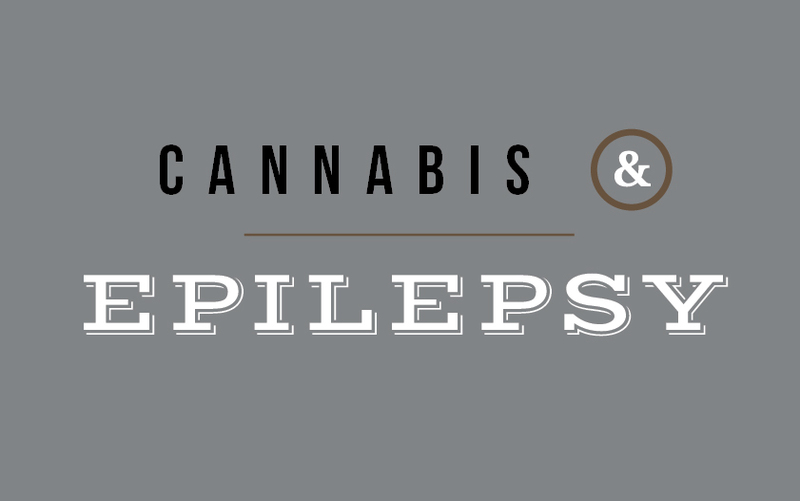 Given the press in recent years around alternative treatment for children with epilepsy, you may have heard the stories of parents using cannabis strains to treat the most common symptom of this condition: seizures. Perhaps the best-known tale is that of Charlotte Figi, a little girl with Dravet Syndrome (a type of epilepsy) who, upon being treated with a specially bred strain called Charlotte’s Web, found her seizures decrease from more than 1000 each month to fewer than five. Charlotte’s Web is bred to have less than 0.3% THC – the amount accepted for industrial hemp. In lieu of this psychoactive cannabinoid, Charlotte’s Web contains high amounts of CBD, a cannabinoid that does not cause euphoria or intoxication. While THC certainly has earned its place in the medical hierarchy, research suggests cannabis strains containing little or no THC can be safely administered to children. Two recent studies explored the potential of purified CBD solutions. One focused on children diagnosed with the same condition Charlotte has. After the subjects had been given the medication for about three months, the researchers found a nearly 40% decrease in the subjects’ seizures. A second study examined both children and adults with a type of epilepsy called Lennox-Gastaut syndrome. On average, seizures decreased 44% following treatment. These studies show that cannabis-derived products with CBD can be a life-changing treatment for individuals with epilepsy, particularly those for whom prescription medications have failed to work. Cannabis serves as such a multi-faceted medication thanks to the many similarities between cannabinoid compounds in the plant, and the human endocannabinoid system. Because different cannabinoids mimic the actions of neurotransmitters like dopamine, serotonin, and anandamide – binding to the same receptors as these naturally produced chemicals – they are able to promote and block many different functions, replenishing neurotransmitters our bodies may, for some reason, be underproducing. Current research is unable to identify exactly what it is in CBD that enables it to work wonders as an anti-seizure medication, and a number of scientists have warned against completely removing THC from future medications – it seems the two cannabinoids act in concert to great effect, even when the low levels of THC mean there is no psychoactive response. There is much more to be learned, but the existing anecdotal and clinical evidence has encouraged governments, resulting in epilepsy being placed on many of the Qualifying Conditions lists in the United States. Many Canadians are using the natural treatment, as well, and a Canadian study of epilepsy and cannabis will begin at the University of Saskatchewan in 2017. FARM carries many high-CBD cannabis strains and products, suitable for adults who want to treat their symptoms or condition without that traditional “high.” Most of the products contain a small amount of THC, offering the benefits of the cannabinoid without the euphoric side effects. Ask your budtender is any high CBD strains are available. High-CBD strains promote deep relaxation and pain relief. In the classic “bud” style, these strains can be smoked, vaporized, or added to your favourite recipes. For quick and easy medication, FARM offers a selection of CBD capsules, which send relief straight down the hatch, without any taste or preparation time. Our capsules come in 12mg and 20mg of CBD, or a balanced 12mg CBD and 12mg THC. Keep in mind: unlike other products, which can be adjusted based on your tolerance, capsules deliver the full amount. See our full line of high-CBD cannabis strains, tinctures, and concentrates – plenty of options for treating epilepsy, pain, and other ailments. Speak to a FARM staff member to learn how cannabis can improve your health, and your life.